Kentucky Live! 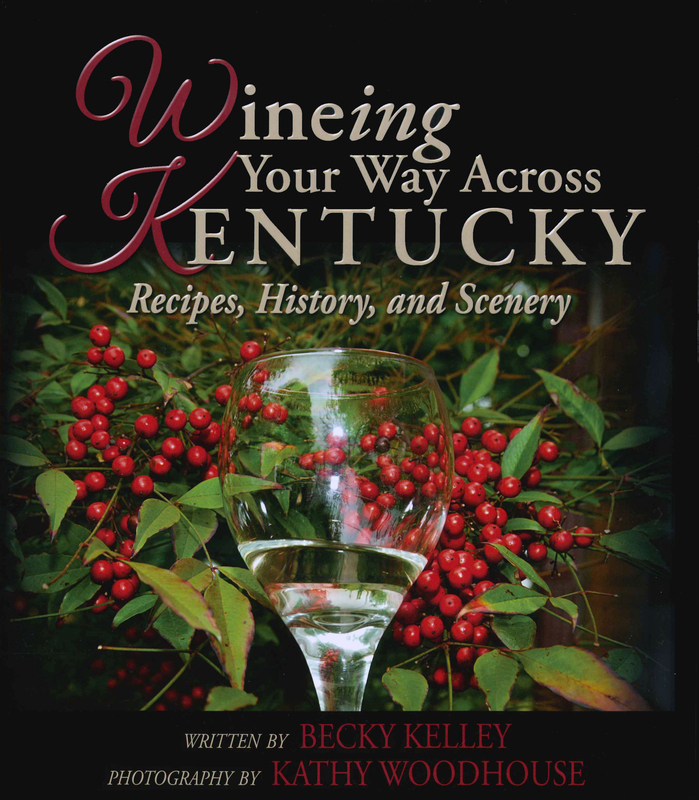 opens up its spring season with “Wineing Your Way Across Kentucky: Recipes, History, and Scenery”. 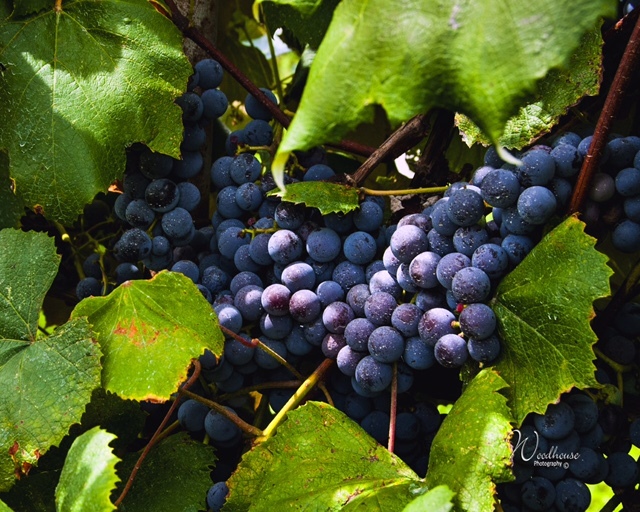 While Kentucky is known for its bourbon industry, wine has been a growing industry in recent years with new wineries applying for licenses every year. Childhood friends Becky Kelley and Kathy Woodhouse traveled across Kentucky visiting over seventy wineries. The book includes Kelley’s description of each winery, with its location, hours, and events information, along with Woodhouse’s amazing photography and favorite recipes using the wines. A native of Bullitt county, Kelley has lived her entire life within one mile of where she was born. A graduate of Spalding University with an MA in English from the University of Louisville, Kelley has previously taught college English and is now a freelance writer. 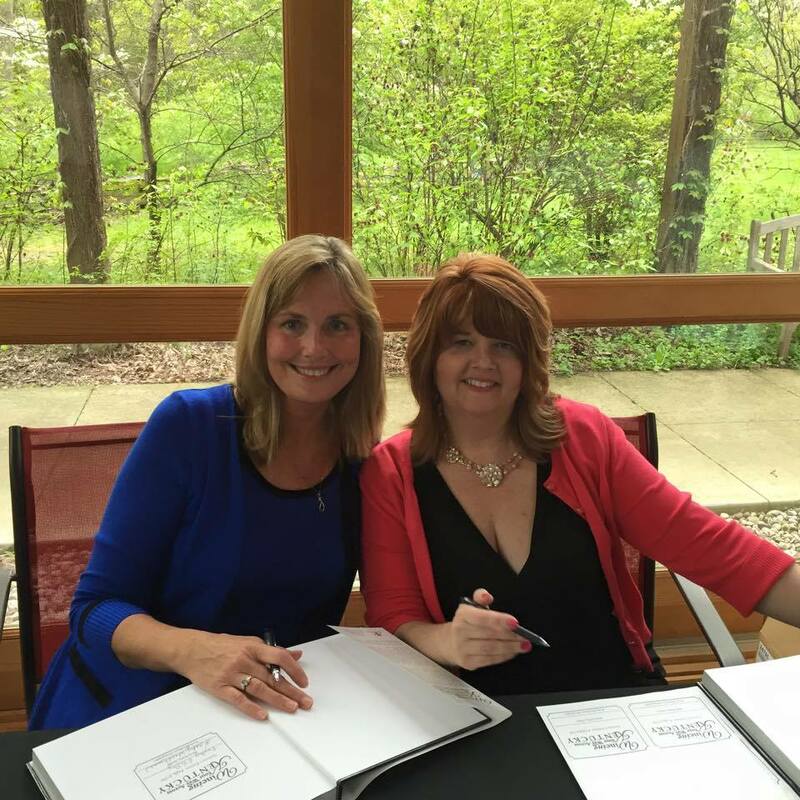 Her work has appeared in numerous publications including the Courier-Journal, Southwest Reporter, the AAA magazine Home & Away, Kentuckiana Family, and Reader’s Digest and she has published a children’s book, A Tail of Christmas. 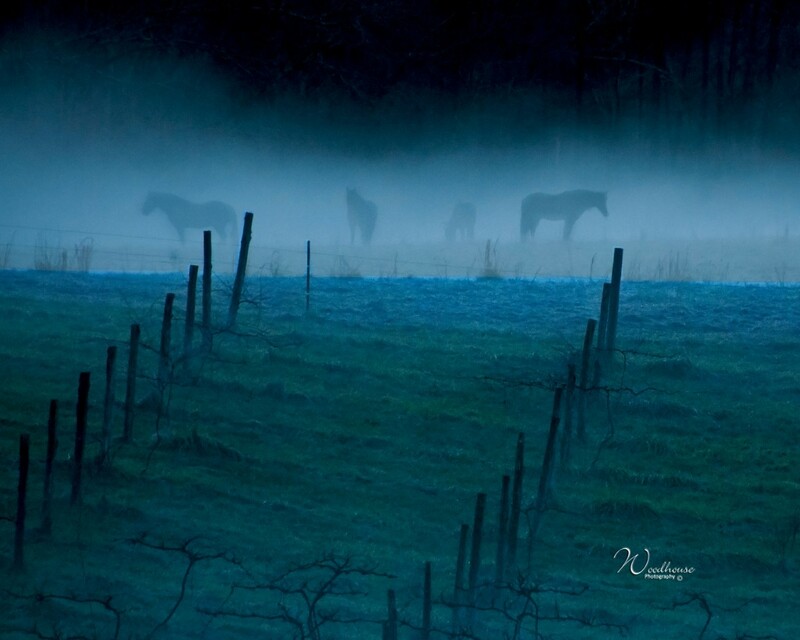 Kathy Woodhouse is a fellow Bullitt county native and has been a professional photographer for over three decades. She has been named the National Sears Portrait Studio Manager of the Year and her work has been featured on NBC’s Today Show on December 13, 2013. Woodhouse has been a studio owner and now is a freelance photojournalist, marketing her work at various galleries and retail outlets in Kentucky. 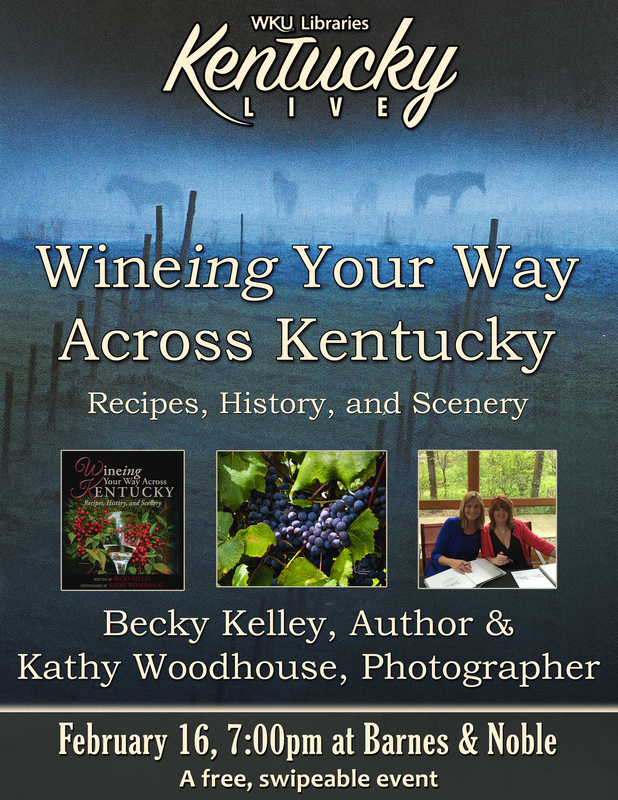 Come hear Becky Kelley and Kathy Woodhouse talk about their book Wineing Your Way Across Kentucky: Recipes, History, and Scenery on February 16 at Barnes & Noble Bookstore (1680 Campbell Lane) at 7 p.m. The Event is free and open to the public, as well as ‘swipeable’ for WKU students. Door prizes, and a book signing will follow. We hope you’ll join us!